We are able to instantly pull up all of the details on any given lease with only a couple clicks of the mouse and all was really quick. The Customer Support you get with prolease is exceptional, they really ensure customer satisfaction. Communications have improved a lot in the past year since we have been using this. : I would like to be able to run a report for a specified date without having to save reports. Other than that, the software has been a joy to work with. Automates everything related to leases and eases your work, recommend this. Great functionality. It really streamlined and organized the rental handling process. Without this program it would have been a lot more work, and there would've been a lot more room for errors. It was really helpful when going back to look for information on a property or tenant. There isn't anything I really disliked about the product. It did everything we used it for without a problem. The hardest part was learning where everything was and how it worked. Once we got that down it was a breeze and very useful. We used this mainly for our rental properties. Keeping everything together and organized, it really made handling our rentals much easier. We definitely didn't use the program to its full potential, or all its features. I have been using prolease since few months now, prolease have been working really well for me. With the use of pro lease our team was able to keep track of all the tenants and the leasing process. Things are a lot easier now since we got this software. One thing I don't like is, it is hard to use and understand but once you understand using it, its simple and less complex. Another thing, tad pricey. So far all is really good, if your company have several client in different areas use it. With this software, leasing and keeping track have been easier for us, I would say it have benefited me in several ways, would recommend. "ProLease - do yourself a favor..."
The platform of ProLease is really easy to use! 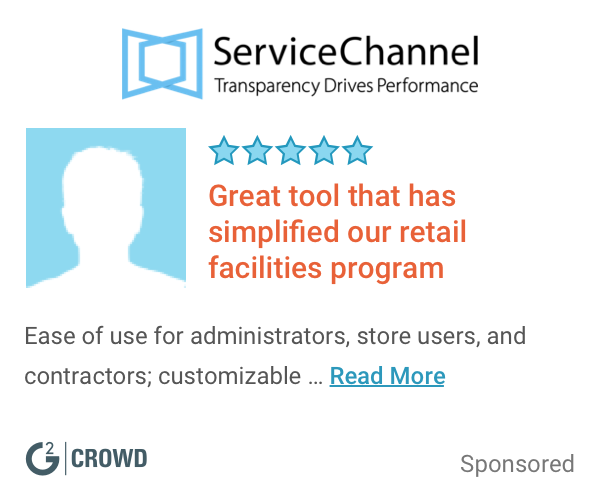 The customer care is excellent and any time I had an issue it was resolved in a timely matter and you can tell the support staff is invested in the product they put out there. I have used this product for around 1/2 years now and it makes the lease process streamlined and hassle free. It used to take us forever to get everything in order and ProLease made it easier than ever. I really cannot think of any substancial negatives to this product. I don't really like the color scheme of the layouts but what does that matter. I would consider looking at what other leasing products have to offer in terms of pricing, but other than that ProLease is definitely worth considering. It certainly made my life easier. We used the product primarily for an operating rental lease. We have several rental properties and in the leasing process it's always important to have the property manager and landlord covered. Very User friendly, web based software. Accuracy and flexibility to make all accounting coherent and easy to explain to brokers/owners is the best pro this software have. One of the things I like most about the software is also the reporting tool. The inability to email all owners their statements to each owner all at once. I really hope pro lease can soon introduce more feautres. My company have been using pro lease since few months now. I have been very pleased with the platform. I have searched far and wide and Prolease is the best available for leasing/property management. This software really does work well. The automated email alerts for critical dates is invaluable. Also, being able to upload and reference specific pages of a PDF document is a game-changing new feature. ProLease has the ability to be as in-depth or high-level as you need. I find it difficult to manually alter financial terms. The reports are not that easy to customize fully. For those looking to maintain leases over an entire portfolio, or those whose companies have multiple locations, this product will change your life. Many of our clients go from Excel to this and not one has ever looked back! We are able to make sure that our clients don't miss any critical lease dates, which has saved them hundreds of thousands of dollars. We find the email alerts to be the best feature. Our company started using prolease few months ago, and it works really well. On the leasing application the software is very good, it covers all the process related to leasing and tracking all the tenant info. From an end-user perspective, I think this software is quite easy to use and integrate. Having all of our leases in one place and NOT a spreadsheet has saved considerable amount of time and effort. I would highly recommend this software to businesses that have greater than 4 leases. The integration with our payment system has made the program lot easier then earlier to use. Their customer service and help lines are extremely helpful, knowledgeable and timely. This have really been a great help to us. The program has so many features and so many abilities that it takes some time to learn them. A beginner can't use this software without learning help. So far it is going good, everything can be managed in one place. You can keep checking all, and stay updated. All in one product for rental communities that is simple to use. Lending have never been easier. "Software has improved our process"
On the leasing application the software is very good, it covers all the process of it. It is really easy to use and understand, we have been using it for almost an year now works really well. The support is not really good and helpful. Highly configurable can choose financial products, such as finance lease, operating lease and more, it would be recommended especially for real estate activities. As a tenant-rep commercial real estate firm, using this software have been a great help. Prolease has made tracking our leases so much easier and the monthly updates keep improving the process. This software is really good and helpful especially during the busy part of my day. Tenants are able to pay their rent online which has made collecting rent and on time payments so much better. The software bugs often a lot, I hope these glitches get fixed soon. It;s good, easy to use, simple. Everything is available in one place only, I am happy wiht it, would recommend. : Good software for a small to medium sized company. Easy to train on and use quickly. Taking rents is a lot easier now. "Makes the entire realestate life cycle easy"
This is fantastic! Accomplishing this upload without any down time I’ve checked the attached file and the records listed versus what has been uploaded to my new database and, it has unquestionably exceeded my expectations. Wonderful customer dedication and we can’t thank you enough! Your focus and commitment in getting us to 100% functionality is one of the most positive experiences ever. Thanks again Robert. "Great product easy to adpat and implement"
It's efficacy I can't say that there is a better product within this niche in real estate. While I haven't been working for too long I can say that I am thoroughly impressed. While i feel that there are oppurtunities to improve in my mind they are extremely limited; maybe easy of use and clarity in terms of from a design stand point. I reccomend this product to anyone who works in real estate; regardless of which side you work on. I find that pro lease is a particuarly unique product within an applicable niche of real estate. With each verision that gets released the product keeps getting better and better. I really like the user interface, and its leasing and CRM features, easy to use and understand, I would recommend them. Best tool for real estate companies. the support isn't really helpful, they delay in answering and solving the issue out. 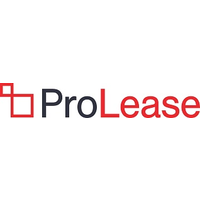 Pro lease eases your leasing methods the most, its a lot easier with prolease, best help we could get. This is among the better leasing softwares available out there on the internet, it offers so much more than many others do. And best of all, no advertisements. Personally, I really dislike their customer support but other than that, I think everything's been going wonderfully well. Do try it out, it's worth their cost, but you might not need it afterwards. The major problem I solved was that my leases were a lot more clear. "Prolease recommended for accounting needs." Recommend using Prolease to integrate with your accounting software . The reporting capabilities are excellent, this software can help you manage all the finances. I am not very happy with customer service, they take so long to respond. Pro lease have solved many of our issues, I will be using it on and off now. I find that the data placement layout in the database and the reporting capabilities are much improved with this. ProLease is more than happy to help us fix floorplans in which the architect has changed. like that you can jump from one page to another with ease.It seems to be pretty straight forward. we are using Prolease for email notification when dispatching work tickets to the assigned tech. follow up and accounting of apartments, on-time rental payments and reminders to collect rentals. "Great system, easy to use software." I love Prolease because the system is VERY user friendly. They make the application very easy to use and figure out on your own. What I dislike about prolease is that they dont have a very good mobile application/website. It has cut out a lot of the middle man while managing leases and documentation. "management module, property management platform"
It allows me to manage all the real estate properties on one platform. It is very helpful and beneficent, saves money as well. they don't give a free trial which is very important for the sake of marketing. I find that it is easily navigated so long a you are familiar with lease shorthand and attorney familiarity. I thought the software was a bit expensive. Lease abstracting and generalized summary of said leases so that a client better understands the terms and more quickly. It made it very easy to organize tenants and keep track of accounts. It was also very helpful in facilities management and made keeping track of my accounts easy. It was a little expensive so I felt that the cost was a little high. Keep in mind the cost and make sure that you are in it for a long term investment. It kept me very organized and kept track of all of the accounting and tenant relations. The software is very user friendly and has the absolute best customer support I have come across in a while. I like that everything from tenants, maintenance etc is accessible in this program. Being in real estate and also property management it gives the consumer the ease of being able to organize the different properties and tenant profiles in one place. "great tool to handle your real estate properties"
with the help of prolease I am able to manage my real estate properties very conveniently. It is very user-friendly and helps me to stay updated. there is nothing I dislike about ProLease, It has been very helpful from the very first day. definitely it has made my job easy, so why not giving it a try. it has made our complicated job pretty easy. It is very intuitive and easy to use. The reports are very thorough. It forces you to enter dates in YYYY format or it deletes your entry. Small, but annoying! "Good stuff! Gotta love it!" Ease of use and how the design is simple to use and follow. Really nothing at all worth mentioning here. I am generally unorganized, yet this allows me to be able to get things organized in a timely manner! I like the layout of the software and how easy is it to use. There is honestly not much to dislike, it’s great! Staying organized is a huge issue for me, and this helps. "Makes property management a piece of cake"
User friendly! It’s easy to understand! Super busy and using a program I dont have to figure out is essential. * We monitor all ProLease reviews to prevent fraudulent reviews and keep review quality high. We do not post reviews by company employees or direct competitors. Validated reviews require the user to submit a screenshot of the product containing their user ID, in order to verify a user is an actual user of the product. Hi there! Are you looking to implement a solution like ProLease?